Sonos is going public, and Amazon looms large over the wireless speaker company’s fortunes. Sonos built itself up as a kind of digital Switzerland, allowing customers to stream music from any major service without having to take sides in the struggle between the big tech platforms. This was a key part of Sonos’s appeal, but also relied on everyone playing nice. That proposition seems increasingly fraught as Apple, Amazon.com and Google are hawking their own speakers. Sonos acknowledged its vulnerability as it filed the paperwork on Friday for an initial public offering, expected to value the Santa Barbara, California-company at about US$2.5-billion. “These technology partners may cease doing business with us or disable the technology they provide our products for a variety of reasons, including to promote their products over our own,” the company wrote in the filing. 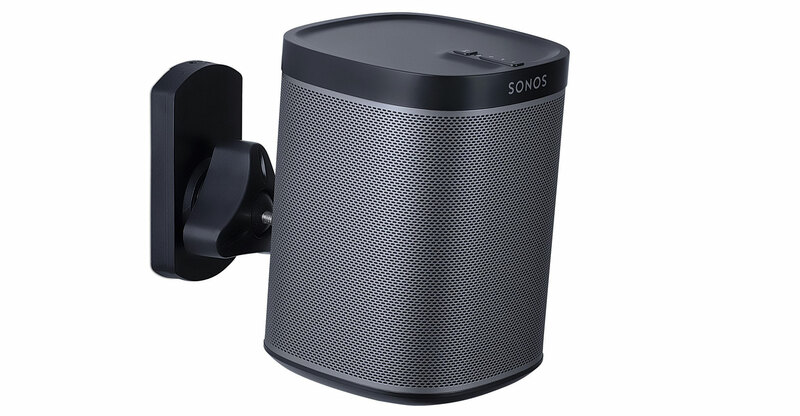 Founded in 2002, Sonos spent years as the dominant player in the wireless speaker industry. According to its filing on Friday, its products are now in about seven million households worldwide, with the average customer owning about three devices and listening to 70 hours of content each month. Audiophiles were drawn to the high quality of the speakers, and it provided the novel ability to play different music in different rooms, all controlled by a single smartphone app. But Amazon seemed to undercut Sonos just as the company expected to enter its breakout period. In late 2014, Sonos executives were telling employees and the public that it would cross $1-billion in revenue for the first time the following year. In November 2014, Amazon began selling the Echo, its voice-controlled speaker. Sonos had a disappointing holiday season that year, compounded by another one in fiscal 2015, bringing in only $843-million. It soon pivoted, firing employees in early 2016, and making concessions to partners like Spotify who wanted more control over the software. Sonos repriced stock options for its executives, lowering the price they’d pay for each share by almost 30%, according to Friday’s filing. In fiscal 2017, the company lost $14-million on sales of $992-million. The popularity of the Echo caught Sonos by surprise, said people who worked there at the time. While it briefly considered building its own voice-controlled speaker, Sonos decided to join with Amazon instead. In 2016, the two companies announced a partnership in which Echo speakers would be able to control Sonos devices. More recently, Sonos has begun selling speakers with Alexa, Amazon’s voice control platform, built in. The companies have described this as a long-term partnership, but Sonos acknowledged in its regulatory filings that Amazon could cut it off or begin charging it with little notice. There’s no evidence that Amazon plans to do this. Sonos also said it plans to integrate Apple and Google’s voice controls into its speakers this year. But it’s a reminder that Sonos is beholden to the cooperation of its main competitors. Apple, Amazon and Google have all identified wireless speakers as a way to pull consumers into their broader ecosystems. There are signs that even Spotify is building its own speaker.